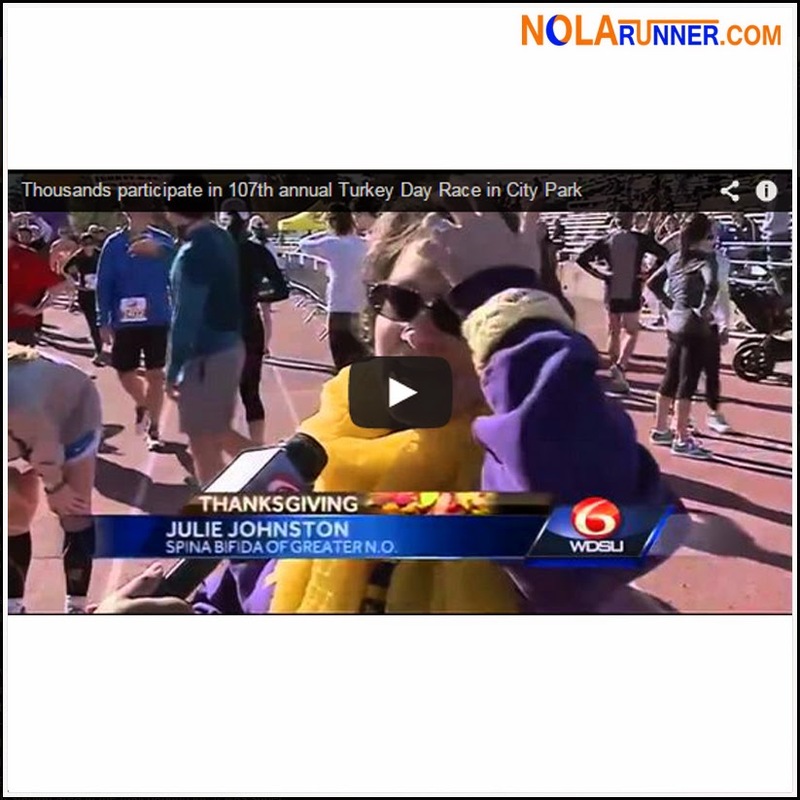 This was the first year in almost a decade that I didn't get to run the annual NOAC Turkey Day Race; however, that comes with the territory when you're on the board of the New Orleans Track Club. Nevertheless, nothing made me happier on Thanksgiving morning than getting to watch 3,000 runners start their holiday with the same tradition I've kept for so long. Seeing as how I didn't get to run, I can't really write a recap of the race. Fortunately, there were three news stations on-site capturing race-day footage, plus a videographer from the New Orleans Track Club. Each outlet that covered the event told the Turkey Day Race story perfectly, so their segments below are the best way for you to relive the occasion. WWL-TV did several live segments on their morning show from the start of the race, and then recapped the exciting finish in their subsequent newscasts. See that video HERE.